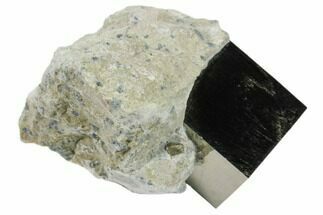 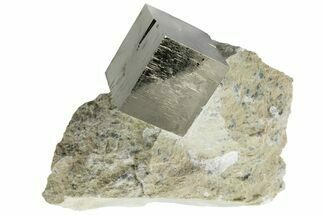 This is a shiny, natural, cubic pyrite crystal clust still partially embedded in the rock from the famous Victoria Mine near Navajun, Spain. 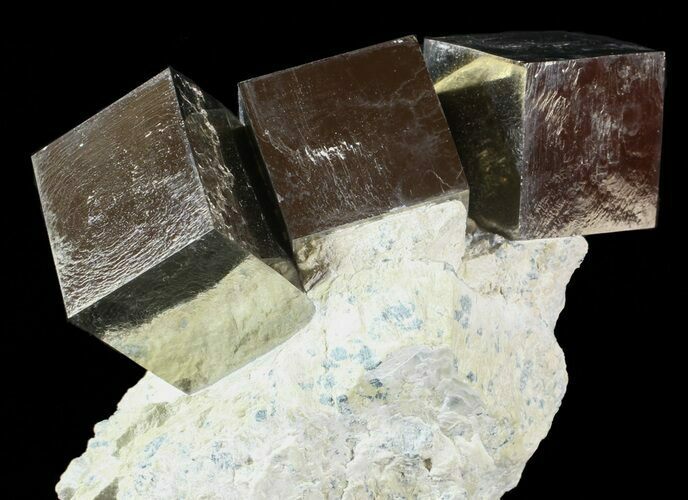 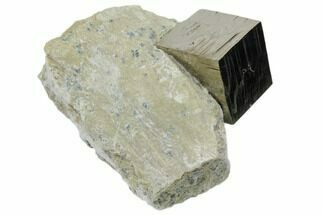 It has a wonderful, golden metallic luster and is formed naturally. 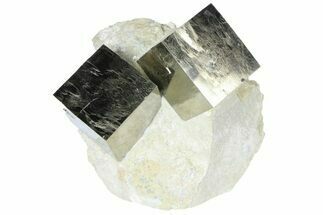 There are three large, cubes in the cluster the largest of which is 1.28" wide. 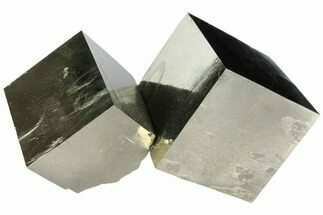 The entire cluster is 4.1" wide. 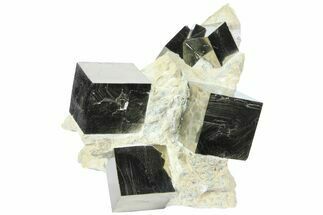 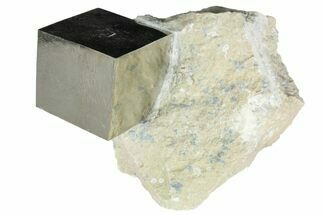 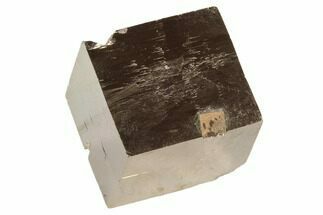 The rock has been painstakingly removed from around the cubes using mechanical tools and the pieces sits up nicely on a flat surface. 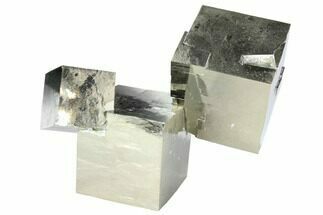 The cubes have not been repaired or remounted, though there is some stabilization to the matrix around them.